On Sept. 27, the United States Drug Enforcement Agency (DEA) made official a long-awaited decision on a cannabidiol (CBD)-based drug. GW Pharmaceuticals’ (NASDAQ:GWPH) drug Epidiolex was reclassified from Schedule 1 to Schedule 5. According to the DEA, Schedule I drugs are highly addictive and have zero medical benefits, such as heroin and cocaine. Clearly marijuana and hemp do not fit this definition; however, because both are still classified as Schedule 1 substances, Epidiolex had to receive the same scheduling when it became the first cannabis-based drug to be approved the Federal Drug Administration (FDA) in June. GWPH has been waiting for this moment, as sales of Epidiolex could not begin until the DEA changed its classification. While the news was expected, it was still unprecedented, and as a result the company’s shares shot up to a new all-time high. They are now up more than 30% this year. Marijuana and hemp remain Schedule 1 drugs, but I am confident we will see a rescheduling at some point in the relatively near future. And in the meantime, I expect to see more cannabis-derived drugs receive FDA and DEA approval. There are plenty of companies out there working on cannabis-based treatment plans, but two in particular stand out to me as names worth watching right now. The first is INSYS Therapeutics (NASDAQ:INSY), a specialty pharmaceutical company that develops supportive care products. One of its products, SYNDROS, uses a synthetic version of tetrahydrocannabinol, and it has already been approved by the FDA. Tetrahydrocannabinol typically gets users high when it is smoked in the plant form, but in its liquid form it can be used as a treatment for chemotherapy-based nausea and vomiting. In addition, INSY is also studying the administration of the synthetic version of tetrahydrocannabinol via inhalation, and results so far have been solid. If things go as planned, it could have new drugs in front of the FDA in no time. I’m also keeping an eye on Zynerba Pharmaceuticals (NASDAQ:ZYNE), a cannabinoid therapeutics company that focuses on rare neuropsychiatric conditions. One of the many drugs in its pipeline is ZYN002, and it is the only cannabidiol gel currently undergoing FDA trials — it has three Phase II studies underway. Approval is still a year or two away for ZYNE’s pipeline, and the stock will be a wild ride along the way. But over the long term, I believe there is a lot of upside potential here. The race to be a leader in the marijuana biotech space is on, and these are just a couple of the companies that I think could be the biggest winners in the years ahead. 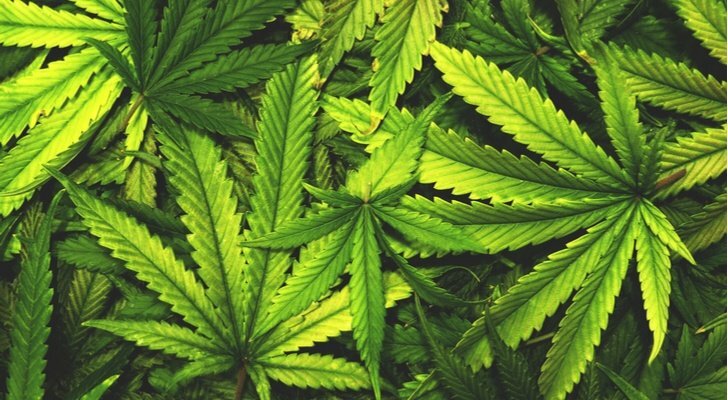 Article printed from InvestorPlace Media, https://investorplace.com/2018/10/2-biotech-marijuana-stocks-to-watch/.